What Is All This About New Mammography Recommendations? For more than 10 years, women have felt the pressure of and adhered to recommendations to get an annual mammogram at age 40. 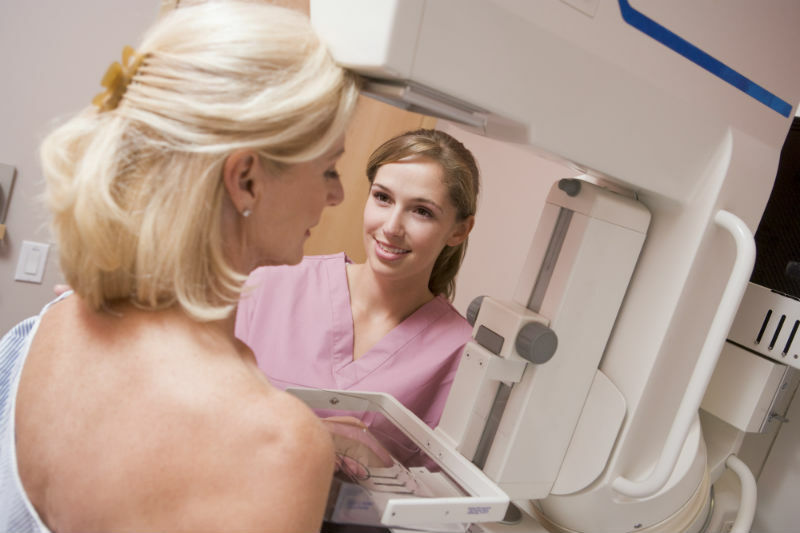 Some women may opt to forgo routine mammograms for fear of diagnoses of breast cancer, concerns over exposure to radiation during the screening, or personal reasons. However, the recommendations had not changed until now. In October 2015, the Journal of the American Medical Association (JAMA) released a new report on a study of breast cancer screenings and correlating risk of developing breast cancer. As part of the report, the American Cancer Society (ACS) has updated guidelines on when and how often women should begin breast cancer screenings, which concluded the study. Women of ages 40-44 should have the option of receiving an annual mammogram. Women need to discuss their personal cancer risk and medical history with their physicians in making this decision. At age 45, women should be screened annually for breast cancer until age 55. However, women should also have the opportunity to receive annual screenings if they prefer. At age 55, women should switch to screenings every other year, However, this screening process should only be adhered to if they have a life expectance of 10 years and are currently in good overall health. Many different providers, which includes Dr. Sandhya Pruthi of the Mayo Clinic, continue to recommend annual screenings at age 40 and have expressed concern about such a drastic change in guidelines. However, the American Cancer Society is not the first organization to change breast cancer screening recommendations. In 2009, the US Preventive Services Task Force (USPSTF) changed its breast cancer screening recommendations, asserts the US National Library of Medicine. The USPSTF recommended women with an average-risk of breast cancer to have an initial mammogram at age 50 and received biannual mammograms afterwards. The JAMA and ACS derived the rationale for waiting on mammography screenings from the potential risks and consequences of false-positive test results. When women undergo comprehensive cancer screenings, an inaccurate indicator of breast cancer is possible. This may lead to additional tests, biopsies, excessive emotional and physical upset, and additional problems for the affected woman and her family. The change in recommendations may seem drastic, but it reflects a minimal deviation from the previous recommendations. While the new guidelines do not advise women to get a mammogram, the guidelines do give women the option to start screenings at age 40. Basically, the change is simply a means of expanding a woman’s opinion of when to start breast cancer screenings. Regardless of the change in breast cancer screening recommendations, women should continue to follow the recommendations for preventing other forms of cancer, such as cervical cancer. Yet, up to 20 percent of cervical examinations lack full view of the cervix due to insufficient lighting, non-transparent, disposable speculums, and excessive vaginal tissue. As a result, a clear, disposable speculum with a light source should be used to help prevent inaccurate diagnoses. Furthermore, women should start receiving Pap tests and comprehensive gynecological screenings at age 21, and the test should be repeated every three years, explains the ACS. The release of new recommendations for breast cancer screening ignited a firestorm in October, and many women will likely continue to opt for annual screenings at age 40. However, the ultimate decision for when to start screenings for all type of cancer rests with each woman and her women’s health provider. Before celebrating the choice to wait until age 45 for mammograms, women need to think about their risk for breast cancer and discuss their options with their health care providers. To find out more about disposable, illuminated vaginal speculums, take a look at the ClearSpec® Single Use Speculum.